Meh, he's basically saying the hire is a crap shoot, and he's not wrong. Every fan wants KJH to succeed. That doesn't mean she will, and Adams is pointing that out. Some call it being negative simply because it isn't what they want to hear. Truthfully it's just being realistic. This is reality. She'll either succeed or fail. Hopefully she succeeds, but you also have to accept she may not. And let's be honest, this is not a splash hire. That doesn't mean it won't be a good hire. Go to any scruffy wings and beer joint that has a dartboard and a cheap flat panel tv. Spot the most scruffy, bitter old drunk man at the bar. Ask the scruffy, bitter old drunk man what he thinks about UT sports. Get a John Adams column for the price of a PBR v. a $300 subscription to the local McPaper. Maybe... just maybe Kelly listened to Pat. Pretty sure the other did not. 1.) John Adams is an idiot. 2.) Tennessee doesn’t throw money at winners. 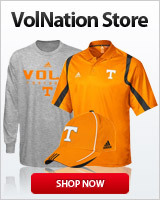 They hire people they think will be winners at Tennessee. So far ADPF has not disappointed. 3.) If you expected something different you haven’t been paying attention. I’m shocked that you’re shocked. 4.) You may have noticed I didn’t include my opinion on the LV hire. Why? Because I don’t know if she’s going to do a good job or not yet. So I STFU about it. Where Adams and a lot of people are wrong is his reference to a “talented roster.” I saw them play several times, and I think a lot of people assume they’re super talented. Part of Holly’s problem is that she didn’t have incredible talent. It was ok, but not great. Her recruiting was overrated. Adams is already setting Harper up by leading everyone to believe they’re super talented, and they’re not. Let’s call it what it is. She’s coming into a great job with decent, not great, talent. The talent is there, it was just under coached. Kinda like Lyle in football. I think she said final 4 talent. So, you are saying that Holly Warlick is the best person for the job? She was planning on making player changes and staff changes next year. So Holly agrees with you. Well,my point of view is he needs to retire, and his replacement needs to be someone who is not a snarky hypocrite. It has nothing to do with him not being a homer. He is like a hanging chad. And when I line my bird cage with his picture, I praise the occupants aim. You may not find anything wrong with considering his point of view as long as those who do take it in suppository form. "Kellie Harper is likable." Is right. Missouri State absolutely LOVED her. They cant stop praising her. Or do you think maybe they are making it up so they can more easily get rid of her? I could have guessed by your title how you feel about him. And for whatever your point is in saying that, I will take it as a compliment. Usually, I find your post worthwhile and sometimes even enlightened. Now, you are making me miss D4H. I disagree. Warlick didn't have a transcendent game changer like Holdsclaw or Parker but she had plenty enough talent to reach the Final Four. A better coach would have done it, at least once. I'm curious, what do you base your assessment of the current players' FF talent on? High school rankings? Potential? I love it when a John Adams article is quoted on this site. The only time it happens is when the normally negative article JA writes is in line with the negative stance they have taken. Any other time, most on this site consider his articles trash journalism. That assessment wasn't exclusive to the current team but to Warlick's entire tenure... Hence, why I used the language "at least once". I do consider players such as Burdick, Carter, Massengale, Graves, Simmons, Spani, Russell to be "Final Four" talent both on their high school rankings and what they showed on the court while in college. The sum of the parts was never equal to the whole due to poor game coaching. That is if you enjoy following gloom and doom, and are not influenced by a continual dose of negative crap. I wonder if this guy has to travel around with security or in disguise. I couldn't imagine even going to the grocery store if I were him. I would be afraid of a tomato in the face or worse. Or, maybe his crap has worn so thin in Knoxville that no one pays the slightest bit of attention to him anymore. Have enjoyed ignoring the self-aggrandizing crap from that guy for years. The only reason I know he still exists are people on VN obsessed with posting links to his click bait. I was most impressed with KJH’s presser. She was very poised, seemed down to earth, and her love for the program was certainly evident. Kelly is a very good speaker, she came through as a genuine person and a good communicator, much better than Holly's stumbling, bumbling style of speaking. Kelly did what Holly should have done years ago, i.e. go out and blaze her own path at head coach jobs and grow as a leader rather than a follower. It's evident she knows how to relate to players and handle the admin side of coaching as well. She will bring a lot of Pat's qualities that were instilled in her when she played at UT. You are correct however, ppl needs to understand that Holly's records came easily for her. She got a high profile team left for her to coach & after she won 3 conference with that it kept going down because she couldn't coach to maintain those stars. While Harper brought non-high profile team to tournaments. That's wat we all needs to look into and not Holly's records. Again, if you switch Holly & Harper with their teams, holly will never go far with Missouri State team. Every school were fighting hard to keep their top coaches, but Harper is here, I love her. "THE STONE THE BUILDERS REJECTED BECOMES THE PILLARS OF THE HOUSE".